Dr. Tom Bayne and Dr. Ingrid Maes are a husband and wife team on a mission to bring the highest quality natural health care to you and your family. Their passion for a pure, effective healing system led to the creation of PureBalance. PureBalance includes our family health center and our pure all natural line of products. Our health center provides state of the art diagnostic testing and customized treatment protocols you can trust will restore your health. We created our own line of products for specific clinical conditions, to combat the problem of poor product quality, and to complete our all natural approach. Tom takes a practical, scientific and research-based approach to natural health and blends it with his expertise in Applied Kinesiology (AK), Total Body Modification (TBM), and the LifeLine TechniqueTM The result is a healing system that fuses the art of energy healing and the science of natural medicine. As international marketing director for one of Europe’s leading food supplement manufacturers, Dr. Bayne’s responsibilities included formulating supplements based on specific patient conditions, lecturing on his clinical experiences and research that supported natural medicines, and developing educational materials for physicians and pharmacies. Dr. Tom’s clinical experience with patients over the years combined with his experience in product development has led to the PureBalance line of products. Tom spends his time sourcing the purest raw materials to create unique nutritional and botanical formulas designed to restore health and balance to you and your family. 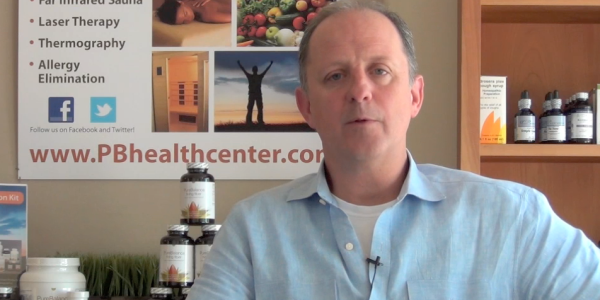 At PureBalance Health Center, Tom excels at diagnostic testing and creating customized holistic health solutions, emphasizing whole food nutritional supplements and botanical medicines that assist your body in detoxification and healing . With her particular focus on alignment of the pelvis and cranial work, Ingrid has been able to help patients recover from pain when nothing else worked. Ingrid’s additional expertise in Applied Kinesiology (AK) Bio Energetic Synchronization Technique (BEST), Thermography and Body Zone exercises brings a broad spectrum of holistic healing solutions that can be tailored to your needs. Her passion for holistic medicine started as a child. She grew up in Belgium, where a natural approach to health and pure botanical medicine was highly valued in her family. As a result, Ingrid specializes in bringing pure, natural solutions to you AND your family. As a mom with 3 kids, Ingrid is aware of the challenges our modern lifestyle has on family health. Whether environmental toxins, commercialism or poor food quality, Ingrid shows you how to easily incorporate health and lifestyle changes that benefit your whole family. Ingrid’s mission is to make health a way of life…to empower you with pure, easy lifestyle solutions on your journey to wellness.